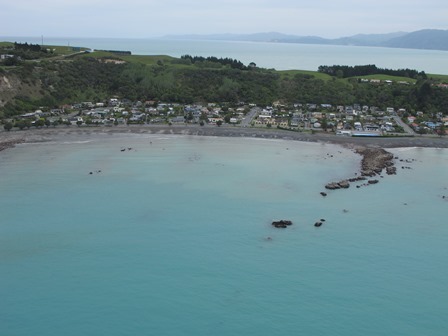 The beach to the south of Kaikōura township at low-tide. Please note the timeframe for completing Uni-Cycle work on Ilam fields has changed. Work is currently being carried out on the existing path on the north side of Ilam Fields. This work was scheduled to finish before Christmas, however due to unexpected delays with the contractor, the new expected completion date is early February. Visiting Mt John over Summer? If you are heading down South over the holiday season, be sure to take your UC staff ID, so you can use it for free access on the toll road to Mt John. Mt John Observatory at the northern end of the Mackenzie Basin, near Lake Tekapo, is New Zealand’s premier astronomical research observatory. Set up your Outlook Out-Of-Office message now, so you don’t have to remember it on your last day. Busy days leading up to your Christmas break? Lots to do? Why not set up your Out-Of-Office message today, and give yourself one less thing to remember on your last day? Click here and set this up now. Check out our Archive of Tech Tips. To check it out, click here, then hit the ‘End’ key on your keyboard to jump to the end of the Archive list where the most recent Tips are. Jeff Field Registrar standing in front of a UC hoarding showing him as a graduating student processing through central Christchurch. Graduation ceremonies are underway this week – continuing a valued tradition at Canterbury. 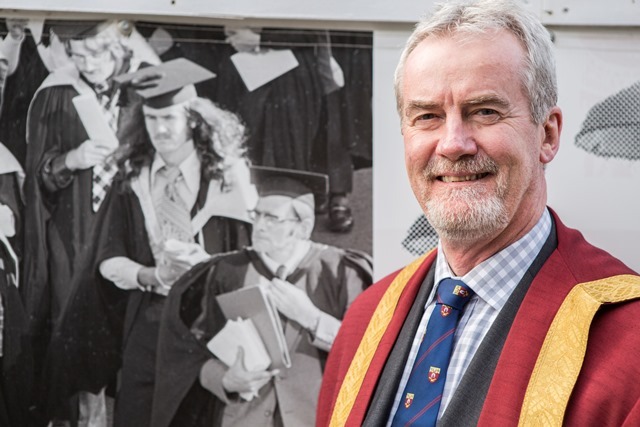 UC Registrar Jeff Field is pictured in his ceremonial robes, beside hoardings showing his 1975 UC graduation procession through central Christchurch (he’s the one with the impressive flowing locks). He graduated with an MA with first class honours in Psychology.